My name is Ayman El-Ghazali I am a Data Insights Professional. I speak English (obviously) and Arabic fluently, I love to teach and share knowledge, and I’m a huge Football(Soccer) fan. If you want to know more about my professional work and accomplishments, please visit my LinkedIn profile (listed below). I’ve lived in many places around the world and I’ve learned so much but one of the most important things I’ve learned is the need to spread beneficial knowledge. I currently reside close to the Washington D.C. & Baltimore MD Metro areas. 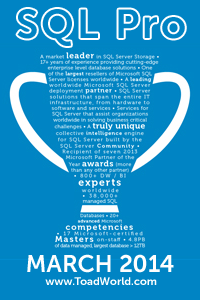 Feel free to connect with me via LinkedIN or via email – info[at]thesqlpro[dot]com. Click to view my MCP Profile.